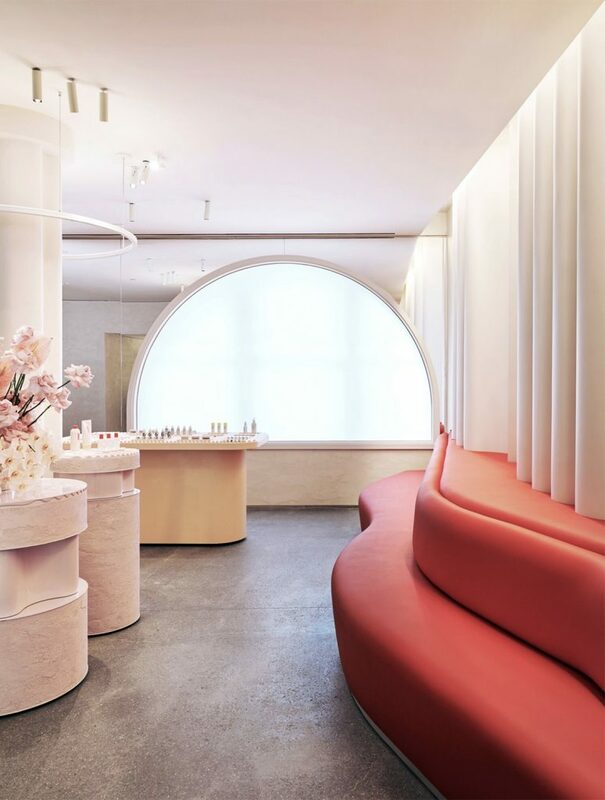 The new Glossier flagship store was designed by Gachot Studios with the idea that it would be an immersive community space where customers could connect with each other. 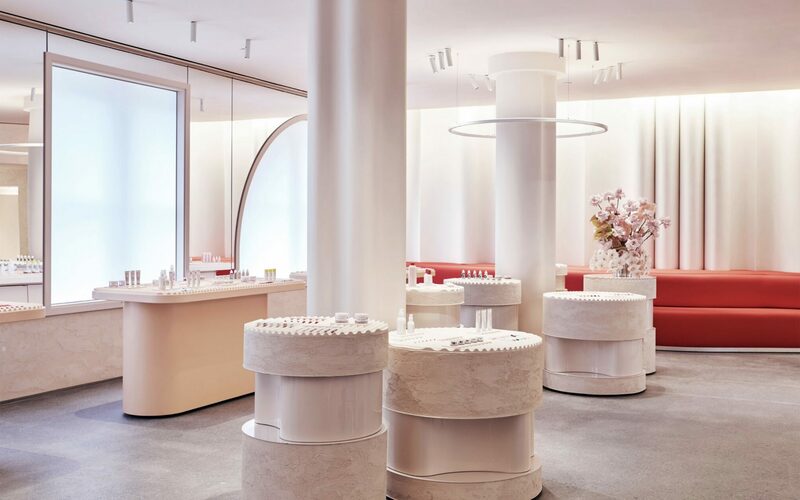 Glossier, the millennial favorite beauty brand known for signature products like Boy Brow and Balm Dotcom, is opening a flagship in the heart of SoHo. 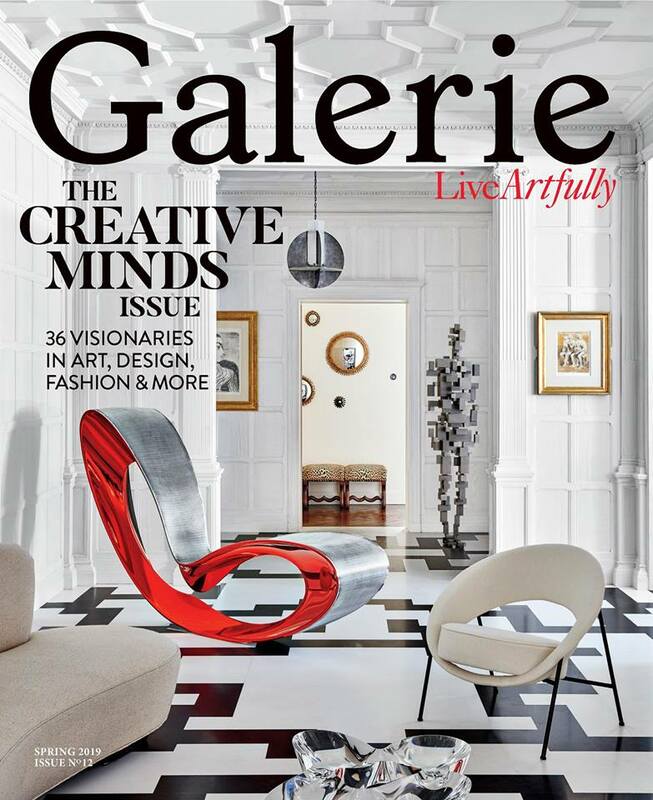 Designed by Gachot Studios and P.R.O., the 5,500-square-foot store will revolve around the touch and feel of the brand in real life. 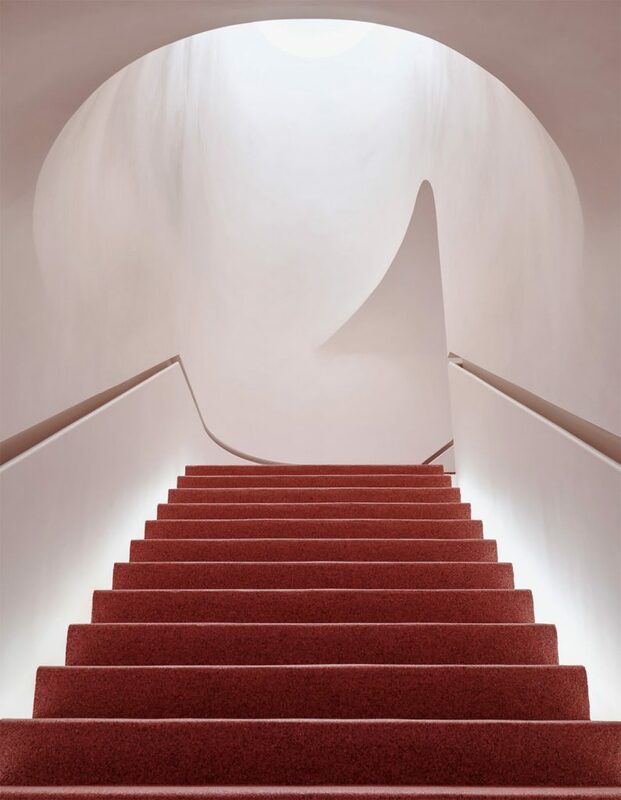 Customers enter through a curved entryway finished in a soft-hued plaster and a burgundy-and-red quartz pebble floor that begins at the front door and runs up to the store’s second floor. A concierge-style pickup counter welcomes customers into the showroom, while the open gallery beyond is filled with playful testing tables done in unique forms to encourage exploration. 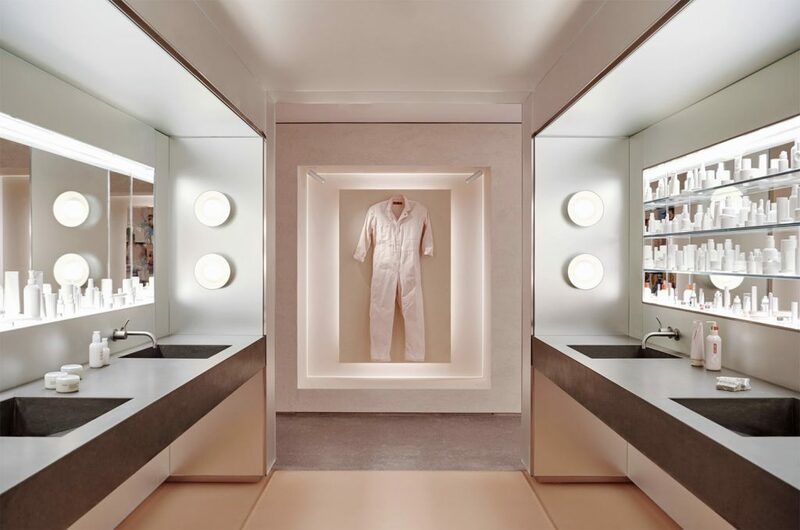 The Wet Bar, where guests can apply and test all products, and the rotating “top shelf” display are both set in a large mirrored cube, a subtle nod to the iconic Glossier packaging. Tucked behind the main area will be an experiential room, which will become home to new product launches and special installations. 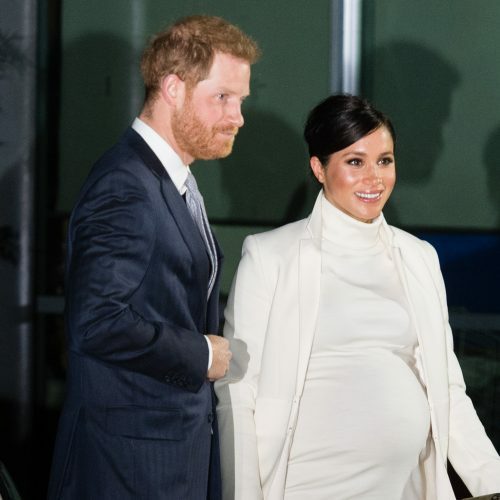 The third floor houses the Glossier retail operation, where the team will package and deliver orders by way of a custom conveyer belt that connects through the floor directly to the pickup counter down below. 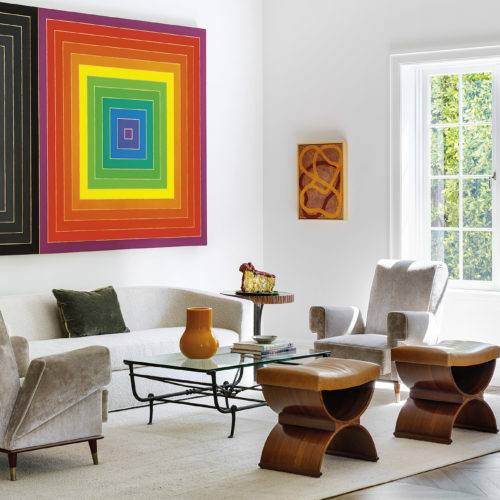 See below for a peek inside the dreamy new space. The Glossier flagship store opens Thursday, November 8, at 123 Lafayette Street.